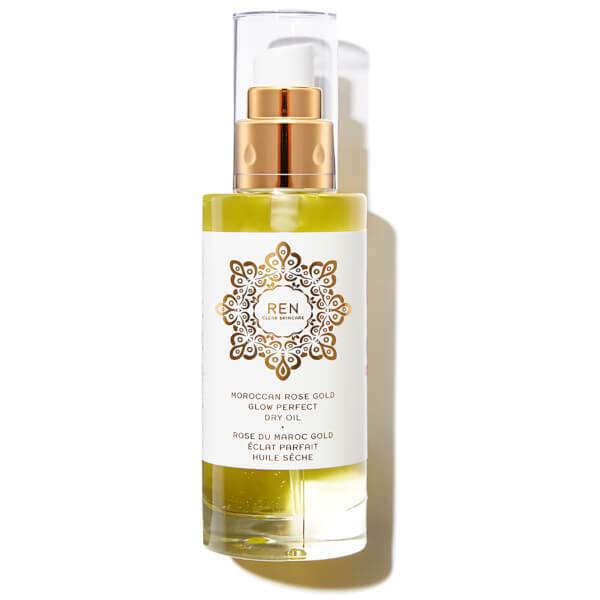 Restore your skin with this Perfect Glow Oil from REN. Rose Otto oil is known for its nourishing and anti-ageing properties, and cranberry seed oil contains a high fatty acid content to protect skin from harmful environmental damage. A complex formula of omega 6 and 7 boosts skin cell repair, whilst jojoba and argan oil leave you with a healthy glow. Cetearyl Ethylhexanoate, Oleyl Erucate, Squalane, Argania Spinosa Kernel Oil, Parfum* Fragrance , Rosa Canina Fruit Oil, Vaccinium Macrocarpon Cranberry Seed Oil, Tocopherol, Rosa Damascena Flower Oil, Pelargonium Graveolens Flower Oil, Cymbopogon Martini Oil, Glyceryl Citrate/Lactate/Linoleate/Oleate, Olus Oil, Benzyl Benzoate, Citral, Citronellol, Eugenol, Geraniol, Hexyl Cinnamal, Limonene, Linalool, 100% Natural Fragrance - Parfum 100% Naturel.